Nearly finished socks without needles in them. 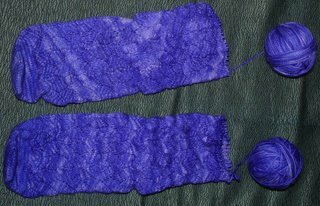 I will frog, let the yarn rest for a while, get past my frustration and quit calling myself names, knit some other socks and then revisit. 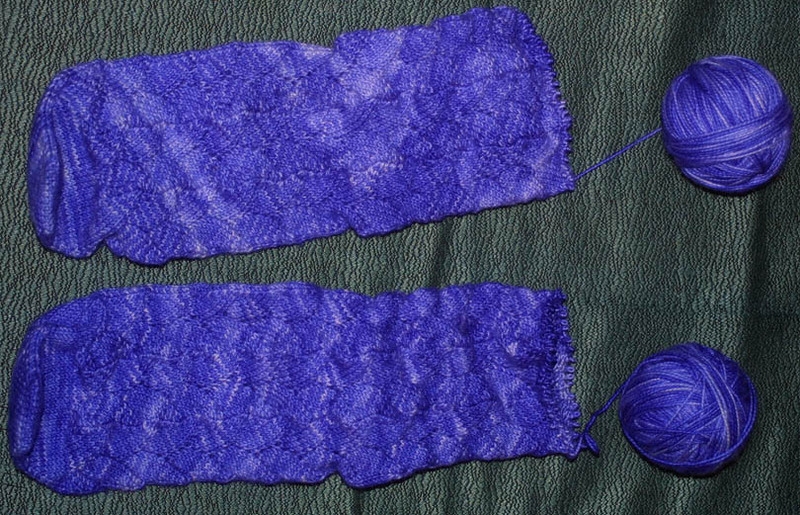 Speaking of other socks, I did manage to get this much done on a second pair of Koigu Crusoe socks. I love how quickly this slipped stitch pattern moves along. Hey, these socks match the sofa! Maybe next year I'll finish a pair! I did not finish the one pair of socks I started for Socktoberfest either. At least you got much farther along than I did :-)The Koigu Crusoe socks look great! How cool is that! 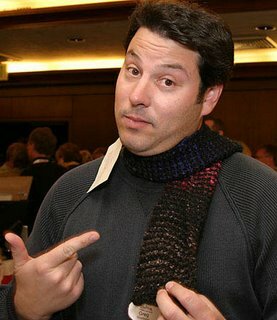 A "Hero" modeling your scarf! I like the colors.